There are a great many varieties of medical practice management software from which practices of all sizes and specialties can choose. Competition is getting stiff in the market, and many of the top companies offering healthcare management solutions are offering fully featured packages. No longer must medical practices piecemeal together a system choosing this EHR, this practice management software, this medical billing platform. Of course to option to use an amalgam of different services is still available, however the integration offered by the bundled software often simplifies things and creates greater efficiency within your practice. 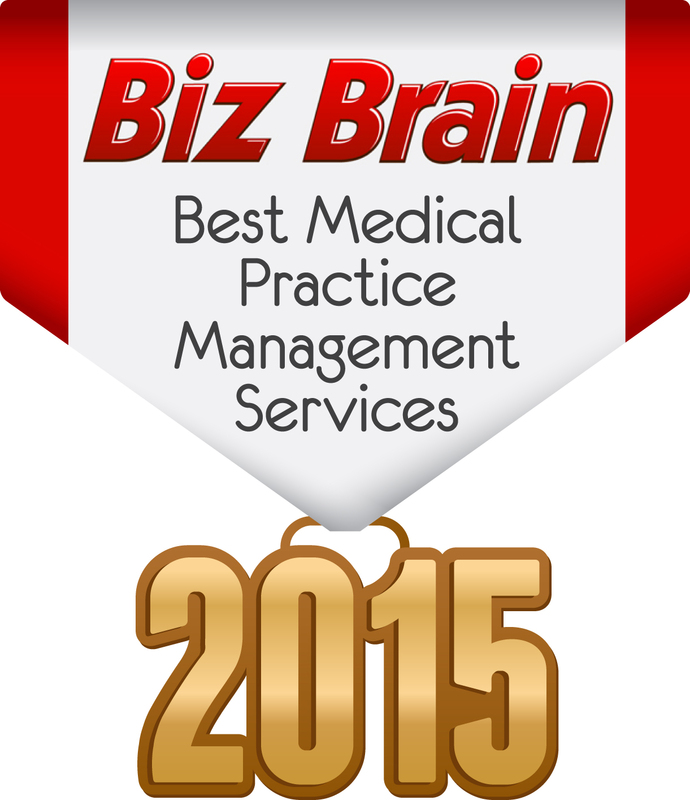 This is a list of the top ten practice management software companies. The methodology we used for ranking the programs is explained at the bottom of the article. 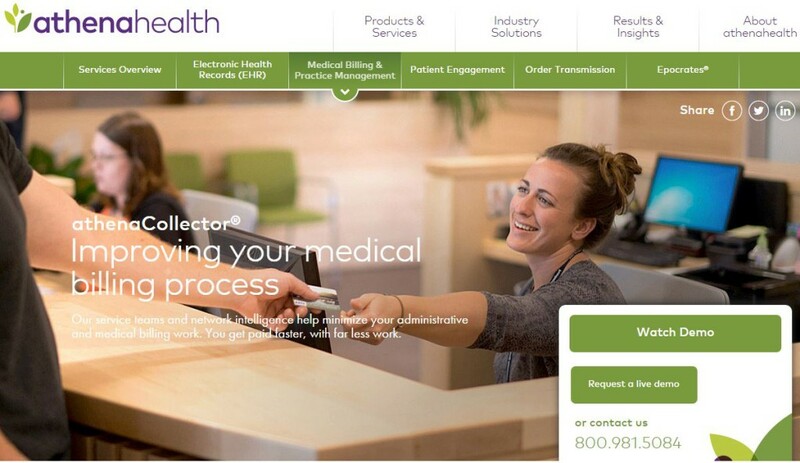 AthenaHealth is one of the major players in healthcare management solutions. As a major player they offer pretty much every service you can think of, which might make it seem strange to see them so low rated on features. Well with Athena everything is broken up into different services, which can be great for big practices looking for a high level of customization. However for a smaller practice, this can increase cost and complexity. Athena is still a great choice that is chosen by many providers of all sizes. SimplifyMD’s goal is in its name. This healthcare practice solution wants to make your life simpler. It does this by drilling down its services to match your needs, starting with your specialty. Simplify MD offers customization for 26 distinct medical specialties. 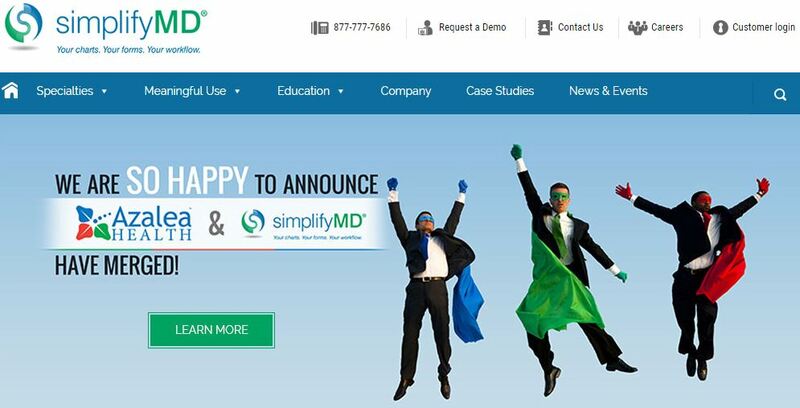 SimplifyMD recently merged with Azalea Health to form a better, simpler, more effective medical management solution. The Medics Premier system from Advanced Data Systems focuses on getting you paid. The software has a 99% success rate on first attempt clearinghouse claims. The billing side of the program is fully featured and focuses on making sure all your ducks are in a row even before your patient walks into the exam room. Combine this focus on billing with the other features and you have a powerful, effective practice management software. 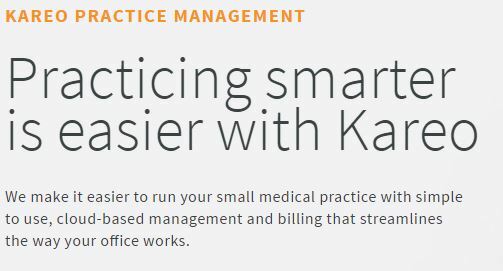 Kareo’s practice management software is reasonably priced. 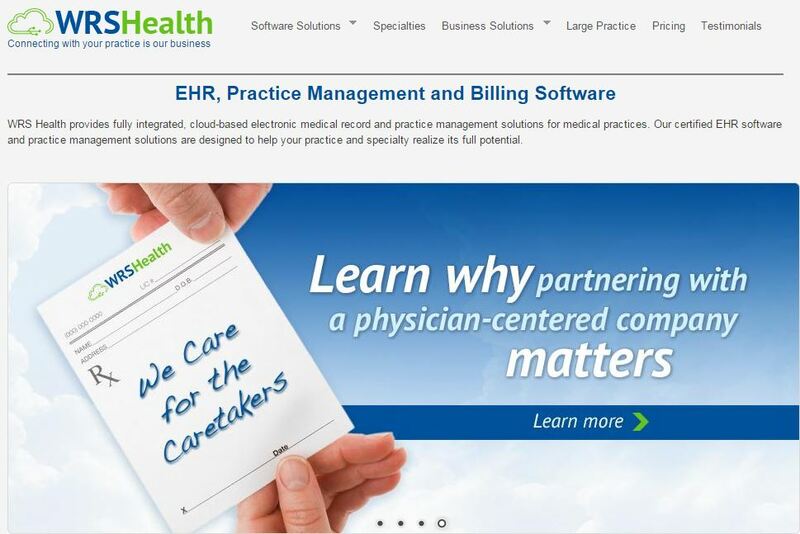 Even better, their EHR platform is free, no cost, no commitment, no upgrades required and no ads. 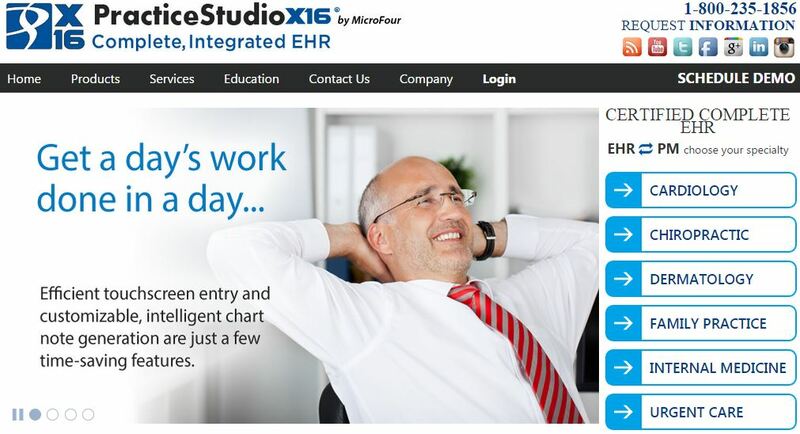 Apparently Kareo is confident that people using their free EHR will become interested in their practice management software too just based on its quality. It’s a cloud based system which means setup is fast, and fairly simple, requiring no additional hardware purchases. Allegiance MD wants to streamline your practice management by providing the features necessary to maximize your efficiency. The practice management, and other services offered by Allegiance MD are meaningful use stage 2 certified, and the program can run on any operating system, including iOS. Implementation time is two weeks, and Allegiance guarantees customers the lowest price among comparable programs. WRS Health’s medical practice management software is InfoGard certified meaning it abides by HIPAA compliant information security and assurance regulations. WRS Health proclaims, “your specialty is our specialty” which reflects the strong optimization and customization features included which cater to all specialties and subspecialties. 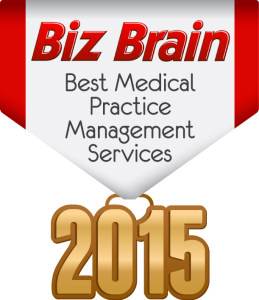 Dr. Chrono was ranked the #1 mobile EHR by Black Book. This is a specific but growing service. The ability for physicians or medical professionals to check their patient’s records from anywhere is convenient and Dr. Chrono has apps for the iPad, iPhone, and even the Apple Watch. While mobile is where Dr. Chrono shines, the company offers a full featured service that includes practice management, EHR, and medical billing rolled into one service. Versatility is one of the hallmarks of Practice Studio, which offers both cloud based and localized server versions of practice management services. Cloud based is all well and good for practices in areas with reliable, stable internet access. However more rural areas don’t always have that luxury, and that’s where the local server option comes into play. Practice Studio can customize its solutions to meet the needs of your specific specialization, and your location. eClinicalWorks is one of the biggest names in the practice management business, with over 100,000 doctors using their software. The company processed over $41 billion in claims in just 2013 alone. So if your primary concern is whether or not your practice management company can handle your needs, the answer with eClinicalWorks, is yes. NueMD offers a fully featured medical practice management service. While customers are free to choose any one of the three services: practice management, EHR, and medical billing, the services are intended to be packaged as a bundle. Pricing for the practice management software is competitive, however the billing and EHR platform prices aren’t published as the quotes are dependent on the individual practice. Because the price of medical practice management software tends to differ based on the individual needs of each practice, we decided to focus on features, rather than price, for our ranking system. Features were broken up into two categories: office management, and patient management. HIPAA compliance was a basic requirement for every healthcare management solution included in this list. Last, ties were broken by determining which of the tied medical practice management programs had the highest customer satisfaction review score at SoftwareAdvice.com. Below are the features we used to determine rankings.